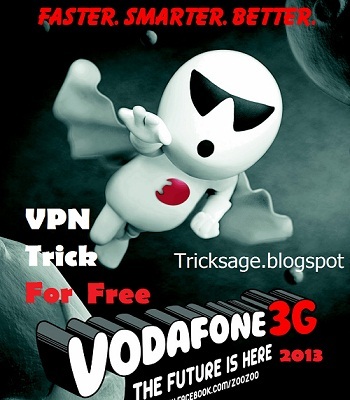 After a long time new vodafone trick is on the way no trick is working from past 1 month but their is other operator tricks which are only working in few states but this vodafone trick is working from long time.One of our loyal user of Tricksage.blog shared this trick with all of us Aman told us ,he is using this trick since last 6-8 month so this trick is conformed working in Delhi and some other states,Non of the blog posted this trick openly all have putted surveys, but Tricksage.blog is sharing it like a Give away without any survey with direct download link. Disconnection Problem is now Solved. Here are the instructions to Connect using Vodafone Kebrum VPN Trick , please follow the steps properly for connecting without no Issues. You all need NMD VPN to connect the trick successfully without any error and the cofiguration file given below. 1. You all need to Register on Kebrum VPN Official site by Clicking Here. 2. Now extract config file and then open pass.txt and paste your username. 3. Then Install NMD VPN after installation copy the vodafone config folder and paste the config in NMD VPN Folder. 5. Run NMD VPN as Administrator and Connect with kebrum Servers. 6. Done! Your connection will be established instantly.